I loved all of your favorite accessories yesterday!!! I see some online shopping in my future! I forgot to post these on Friday, but look how SWEET Griffin was looking on Thursday morning! EEEEK!!! She looks so big in this pic!!! And Dave sent me this picture and I cracked up. :) She wanted to stand with him and Mason wasn't feeling it. Friday we were having CRAZY rain and flash flooding, so after my staff meeting we rushed home in between rain storms to get Jack Bauer outside for a bit. Friday evening Dave's mom stopped by to drop off one of Griffin's birthday presents that hadn't made it in time for our Family Fiesta last weekend. The stroller that Santa brought her bit the dust a while ago and she was SO excited for this one! She got baby settled in, wiped her face and then she was off! After the dance party we headed out to the balcony to watch some early-morning golfers. Saturday afternoon we played outside and then G watched some Frozen before nap time. Shabby Apple got in touch with me about a month ago about reviewing one of their tulle skirts and I immediately knew where I'd be wearing it to. It's full and fun and so so so pink!!! and now! It's HUGE!!! And light and bright and, did I mention, HUGE! hahaha They're doing new chairs and window treatments and all of that as well - the events here are going to be gorgeous! My student government reps picked a "red carpet" theme and I was happy to oblige! 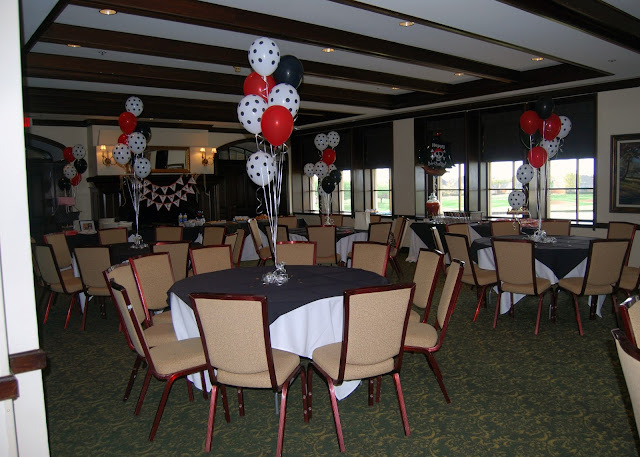 I try to keep the decor pretty minimal for middle school events, and usually go with balloons for the big impact and minimal cost. We had a chocolate fountain which the kids LOVED! There was lots of awkward slow dancing, lots of mass exoduses to the bathroom and a teeny bit of drama... so pretty much a great night :) I got home around midnight and crashed around 1 a.m. Sunday morning came EARLY, but we made it to church on time (amen!) and then took my parents out to brunch at Stonebridge for their birthdays. We're so thankful to live down the street from my parents and for the awesome relationships with my kids that experience fosters. Sunday afternoon I worked on lesson plans and grading and then caught up on Grey's Anatomy. I was SHOCKED!! SHOCKED!!! at last weeks' episode and my head is spinning with questions. It may take me a while to process. :) In the meantime, I'll be watching old episodes on Netflix and reliving the glory days of Greys. Don't forget that tomorrow is Recipe Club! Round up one (or two!) of your best recipes and get ready to share. I know! I feel your pain. 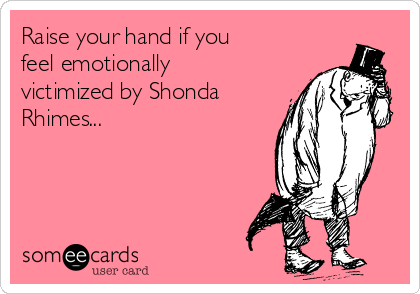 Why, Shonda, why?! Right?!?!? The whole situation is super confusing and unnecessary. Bring back McDreamy!!! My very favorite part of this entire post? You, the tulle skirt, and the mini van. Hilarious!!! You rocked that skirt girl!! Gorgeous!! You have got to be the BEST teacher there ever was!! Right?? I'm not sure what it was about that outfit, but she looked so old!!! So fun! Our high school uses Prom, but at middle school we use formal :) And thank you!!! Middle school was my favorite age to teach (band)! What a great weekend!! :) your middle schoolers are lucky to have you as a teacher!! The dance looked great!!! I will be emailing you BC I NEED THAT SKIRT! I just love your blog! And you pink tulle skirt! That tulle skirt is precious!!! and I love the minivan picture! You have the sweetest family - really. Your kids are adorable! And I love your tulle skirt. thank you so much!!! So sweet! I just love that skirt! P.S. My oldest is just now venturing into middle school and I SO wish he had you for a teacher! Awwwww! Good luck! Middle school is an adventure! I am totally loving the pink tutu!!! And yes, I want it because it would be crazy fun to do a photo shoot with my three girls and us all wearing pink tutu's! What a fun dance! And I am still feeling a little traumatized by last week's Grey's! Grey's did me in! So so sad! Glad you had a great time at the formal - you looked adorable! The birthday situation in your family is very cool! We have a similar story. My husband and I were born 4 hours apart in the same hospital. Our birth announcements were published in the local newspaper on the same day, with his announcement directly above mine because both our last names began with a C. Also, our firstborn and our third baby were born on the exact same day, 10 years apart. My oldest is not crazy about sharing a b day with his baby sis, haha! Also, I loved the tulle skirt, way too cute! That is CRAZY!!! I can't believe your announcements were above each other!!! What an awesome story! What a wonderful teacher you are! Blessed children for sure that has a PINK wearing TUTU skirt! Um...AWEsome!